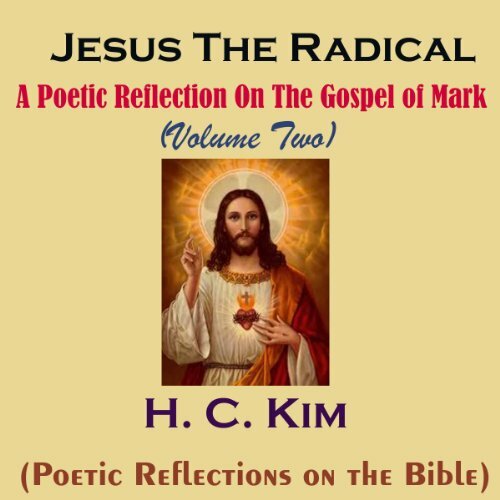 In this collection of poems, H. C. Kim focuses on the immediate events leading up to the first Easter and ponders the resurrection message. What do you think about when someone mentions Easter? The Easter bunny and brightly colored eggs? Wonderful sales on clothing? Special deals in your favorite restaurant? The first Easter two thousand years ago was not celebrated by hordes of people as if it were just another holiday. On that day, Jesus of Nazareth found his disciples frightened and tearful. The followers of Jesus Christ were recovering from the sadness they felt at the horrific manner in which Jesus had been beaten, humiliated, and crucified. Jesus' disciples were also afraid for their own lives, having seen their Lord crucified on the cross like a common criminal who deserved the death penalty. In contrast, the enemies of Christ were jubilant because they thought that they had wiped out the Jesus movement, the nascent Christianity that had emerged in the land. Shouts of "Crucify Him! Crucify Him" still rang in the ears of many.